Friday in Koala Class. 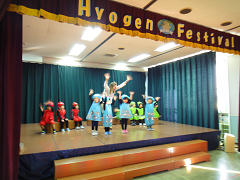 Today we had a special dress rehearsal for our Hyogen Festival performance. We dressed up in our fish costumes. Blue fish, Red fish and Green fish. 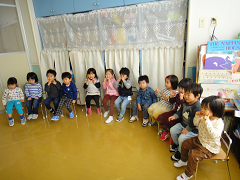 We all danced together and practiced our English phrases. We tried really hard to impress our class one audience. After practice we enjoyed a delicious lunchbox together. Fridays are always good fun. We are looking forward to showing our families our performance next weekend.